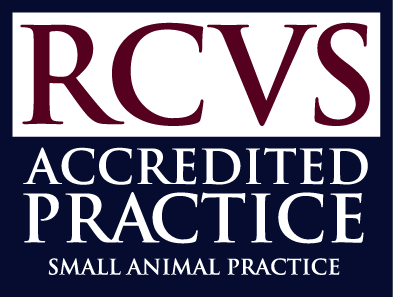 Each year Wangford Veterinary Clinic makes a commitment to helping local people, their pets and the many homeless and unwanted animals in our many overflowing rescue centres. Thanks to the tremendous support of our clients and local people the team has raised an astonishing £11,663.43 in 2018 for charity and we are off to a good start already this year with lots of exciting fundraising ideas. 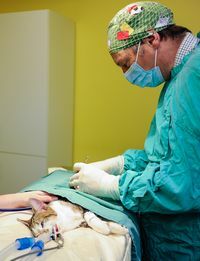 This money raised through events such as Strutt Your Mutt Charity Dog Day, appeals such as Poppies on 4 Paws and Santa Paws. 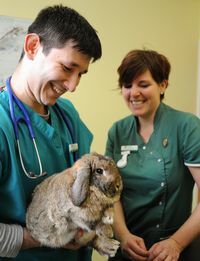 In addition to this we hold in-house events such as Emergency Pet First Aid evenings. Every year we organise a Christmas collection of food, toys and blankets to be distributed locally, helping homeless and unwanted animals. We ask people to donate their unwanted paperbacks and simply recycle them here in our reception area and our lovely and very generous clients regularly change their books, giving a donation by way of thanks. The stand makes £20-£30 a week! We hold regular fundraising get-togethers and thoroughly enjoy meeting our clients on a more social basis. Pet hamper raffles are another firm favourite that bring in a good deal of money for our charities. Thanks to the generosity of our clients we gave away an amazing amount of financial help and support to Foxy Lodge Wildlife Rescue, Dogs Lost, Rose Cottage Cats, Dogs Trust, Cats Protection League (Framlingham Branch), Norfolk & Suffolk Animal Trust, Suffolk Coastal Dog Rescue Trust, Care Dog Rescue, Meadowgreen Dog Rescue, Thumpers Rabbit Rescue, Suffolk Animal Rescue, Greyhound Rescue and German Shepherd Rescue. 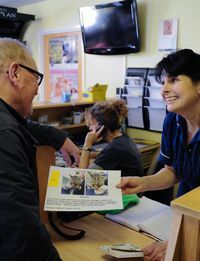 The team at Wangford Veterinary Clinic are committed to promoting the very best of pet health care within our local community and attend a number of events each year which take us outside of the practice. 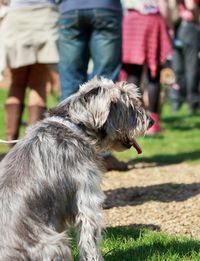 We can often be found at village fetes judging the dog show or at larger events such as Brampton Plough Day. The team will be there with games such as our Doggie Lucky Dip, Under Water Retrieve as well as running the fun dog show. Our largest event by far is Strutt Your Mutt Dog Day and Walk which we organise ourselves and raise considerable sums of money for charity. The whole day is about dogs and celebrates the relationships that we share with them. 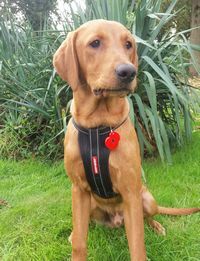 Have a look at www.struttyourmutt.co.uk for more information. 2018 I cant believe it, didn't think we could top last year but we did and we had an amazing day and raised an unbelievable £9,659.56 for Hearing Dogs for Deaf People. 2016 Raised £4571.21 for Dogs for Good.